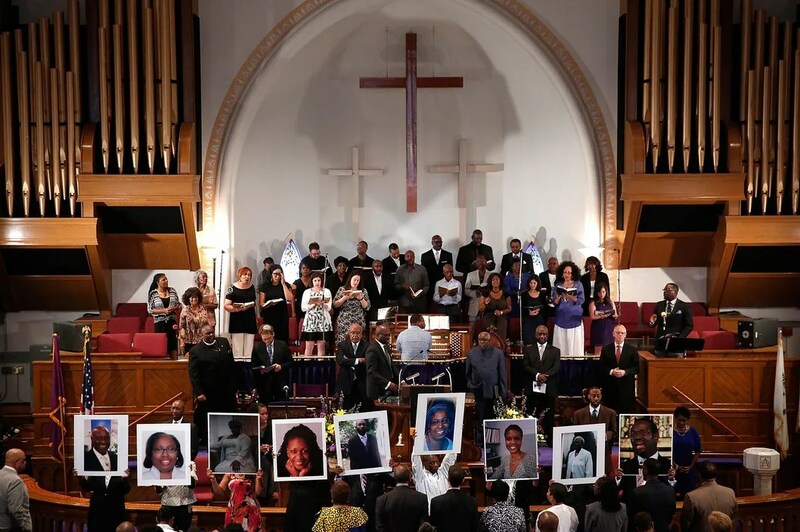 As you undoubtedly know, on June 17, a man described as “white, with sandy-blond hair, around 21 years old and 5 feet 9 inches in height, wearing a gray sweatshirt and jeans” entered Emanuel and participated in a Bible study led by the Church’s pastor, Clementa C. Pinckney. At about 9 p.m., the man, subsequently identified as Dylann Roof, opened fire killing nine people, including Pastor Pinckney. Senator Tim Scott, appearing on Face the Nation said that while Roof may have intended to ignite a war between the races, he brought the people of Charleston closer together. Christian ideas may no longer have power in our culture that they once had. But to paraphrase the Apostle Paul, there is no argument against the kind of grace on display in Charleston. John 1:4-5 — In him (Jesus) was life, and that life was the light of all mankind. The light shines in the darkness, and the darkness has not overcome it. Romans 12:14-15 — Bless those who persecute you; bless and do not curse. Rejoice with those who rejoice; mourn with those who mourn. Father, our hearts are broken again as we see the result of sin in our broken world. We know that you are grieving for these who’ve lost their loved ones… First we pray for the unity of the Body of Christ. May our brothers and sisters at Emmanuel church not only feel the love and prayers of the other churches in Charleston, but from hundreds of thousands of other churches supporting them this weekend. Second, we pray for comfort and peace and healing in the hearts of those who are overwhelmed with grief in this tragedy. Thank you for saying ‘Blessed are those who mourn, for they will be comforted.’ Father, you know what it is like to lose a son. Holy Spirit, we ask you to comfort the families, and the church, and the community. May all of us recommit ourselves to doing the opposite of what the gunman intended to accomplish. Help us to be uniters where there is division. Help us to protect all life in a culture of violence and death. When faced with evil, give us the strength to respond by doing good, and to show love in the face of hatred. Help us to be bridge builders when others want to erect walls, and to be peacemakers when others create conflict. In the name of Jesus we pray. Amen.